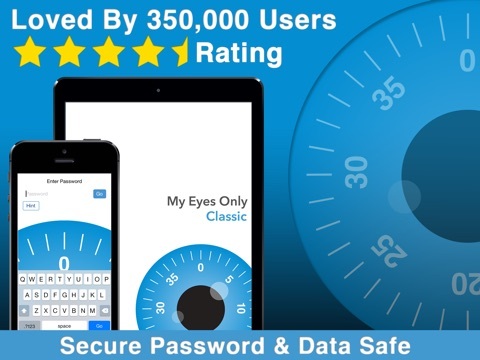 Super secure password app, with the easiest setup, secure backup and syncing of any service in the App Store. Have fast, convenient access to all your passwords and important personal data. ID Lock® provides a secure, easy way to store and keep the critical information you need close to you at all times. And it's super secure, so you never have to worry about loss or theft. Web site passwords, credit card numbers, bank account information, and insurance and membership account information are just some of the personal data you need to keep with you all the time. Combine security and efficiency, get rid of the post-it notes and stop having to look through your files or that little black book every time you forget a password. 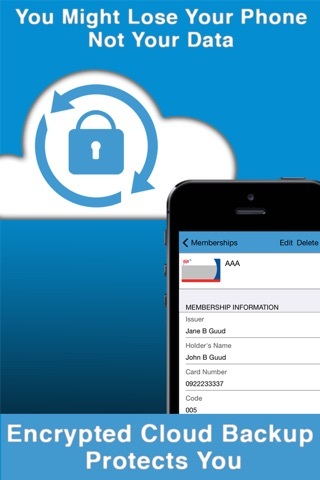 ID Lock® is a superior multi-function app that securely stores passwords and important personal information. 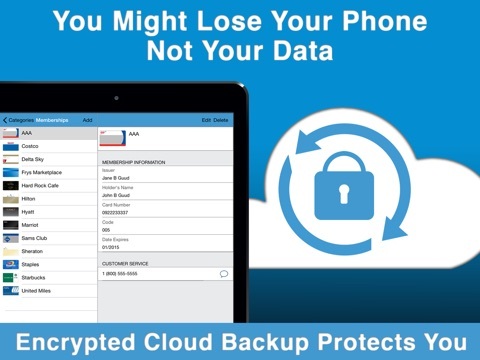 Using powerful encryption, it secures your critical information and utilizes Software Ops' own secure cloud service to back up and sync to all your devices. ID Lock® allows you to keep your critical data close for instant access, while having peace of mind knowing that it's secure. Add your data to one device and have it show up on your other iOS devices in just seconds. 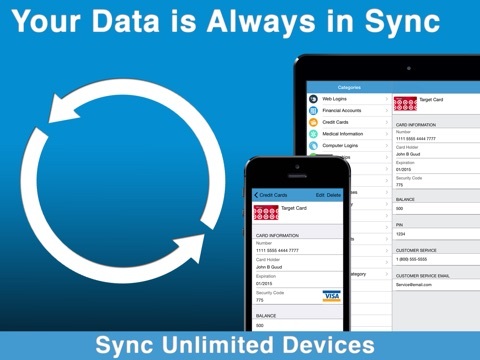 Sync all your devices for one price (other competitors charge per device). Plus you can share your data with a family member or loved one on their device. Works with your iPhone, iPad and iPod touch. ID Lock® utilizes layers of protected encryption. 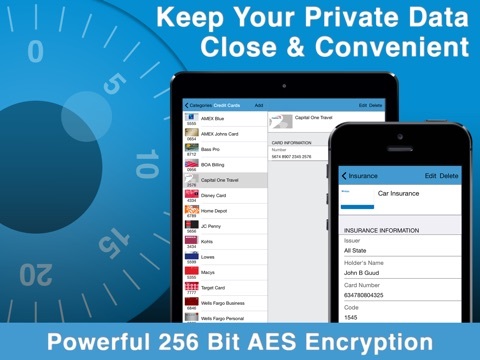 This advanced encryption technology includes password protection, powerful 256 bit AES encryption, and an additional layer of keychain security that other apps don't have. 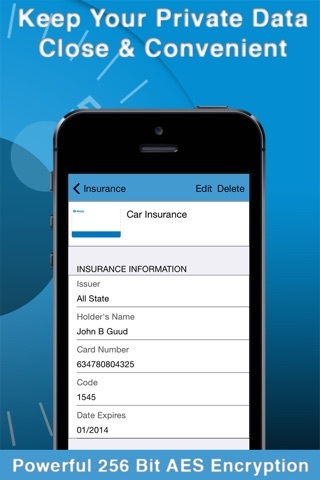 This ensures that your important data will be safe if your phone is lost or stolen. All your data is triple encrypted while being synced and backed up and is stored on trusted Heroku secure servers. Even we can't see or access your data. ID Lock® is designed to make data entry as fast as possible  It takes only seconds to add information using the 14 built in data categories. Add custom categories and items for flexibility, it's quick and easy. Includes a full search of all encrypted items. It even supports a BlueTooth keyboard for fast data entry on the iPad or iPhone. Plus the gorgeous user interface makes it fun. ID Lock® is a try-before-you-buy app. This gives you the chance to try it before your decide to purchase. 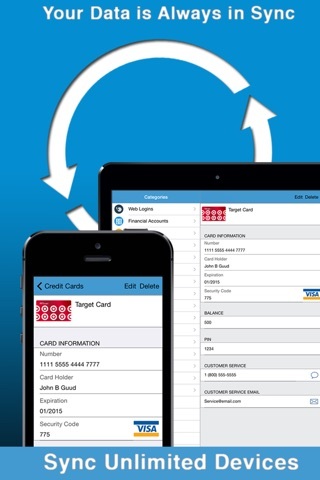 If you like it, use the In-App-Purchase to unlock secure syncing and cloud backup, unlimited items and extra features. And right now, we're giving away secure syncing and cloud backup free for 30 days! - Fix for Biometric unlock setting being lost when installing new versions.